By using this website, you agree to the terms and conditions below. In the event that you don’t agree with the terms and conditions, please do not use the site. 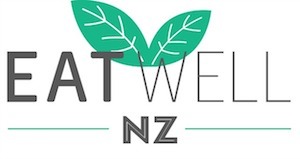 If you have any questions feel free to contact us via email at nicola@eatwellnz.co.nz. All information provided on this website is of general nature only and must not be taken as specific or complete advice. For individualised nutrition advice, make an appointment to see a Registered Nutritionist or Dietitian. While we make every effort to provide accurate information, we shall have no liability to any person or entity with respect to any inaccuracies, misleading information, loss or damage caused directly or indirectly by the information contained on the Eat Well NZ website. The information provided in this website is not intended as medical advice and is not a substitute for for medical advice, diagnosis or treatment. If you have any queries around your heath, condition or current treatments, or want more information, make an appointment to discuss this with your doctor. Links from Eat Well NZ are intended to provide you with further information that you may find useful. Eat Well NZ is not responsible for any content or actions from any other site linked to Eat Well NZ. Accessing other websites that are linked from this website is at your own risk. We cannot guarantee that this website will be free from viruses, or that any links from this website are free from viruses. We feature a variety of people on our blog to show how they eat, exercise and try to keep healthy. We don’t necessarily endorse the products they choose or the diets they follow. Eat Well NZ contains advertisements from third party advertising parties, namely Google advertisements. These may use “cookies” which collect information about your visits to websites so to improve your online experience and show you the most relevant advertisements. They do not collect personal information such as your name, address, phone number. For more information, see this site. Ads from third party advertisement companies are placed on the website without us first seeing what the advertisement is for. We don’t endorse every product that is advertised on this website, but we will do our best to block and remove advertisements that are clearly in our opinion offensive. Some posts contain affiliate links. If you purchase products through these links, I receive a small commission. The commission I receive on these helps to keep this site running. However, I only ever link to products that I would purchase myself or are consistent with my beliefs and philosophies.